My daughter is back to school and that means I’m back to packing daily lunches! 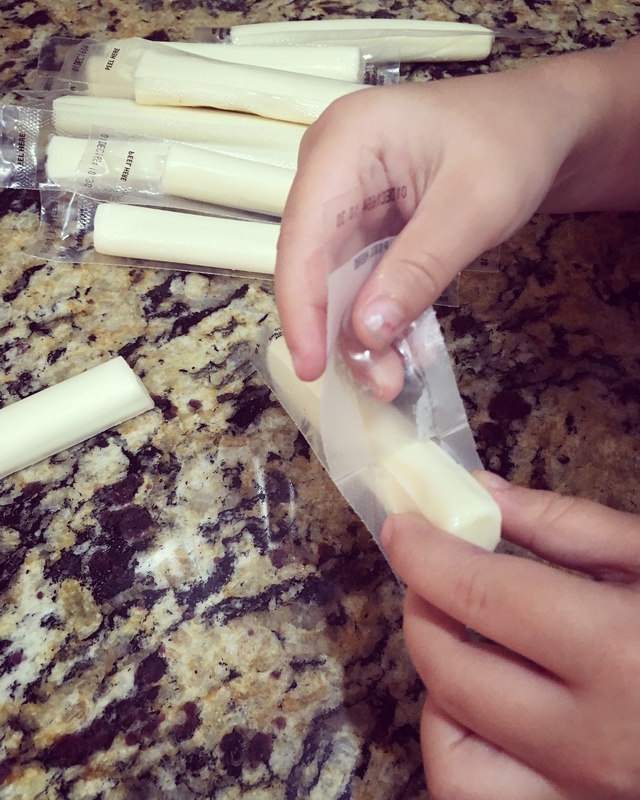 I’m always looking for a new item to send with her to school, but all items have to meet these rules: easy to make, delicious to eat and no nuts (school rule). 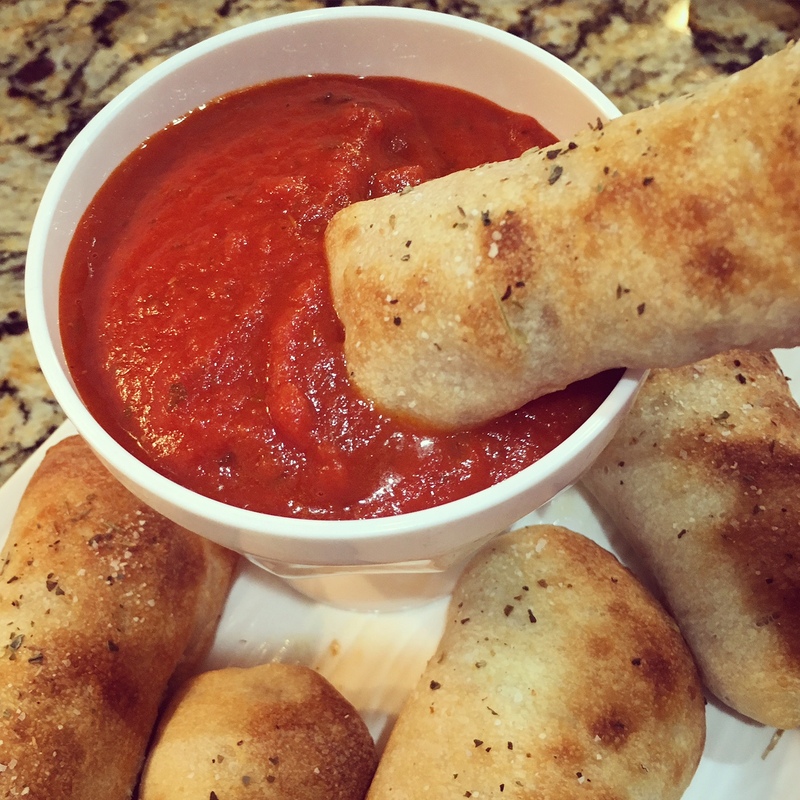 This Pizza Dippers recipe is perfect! 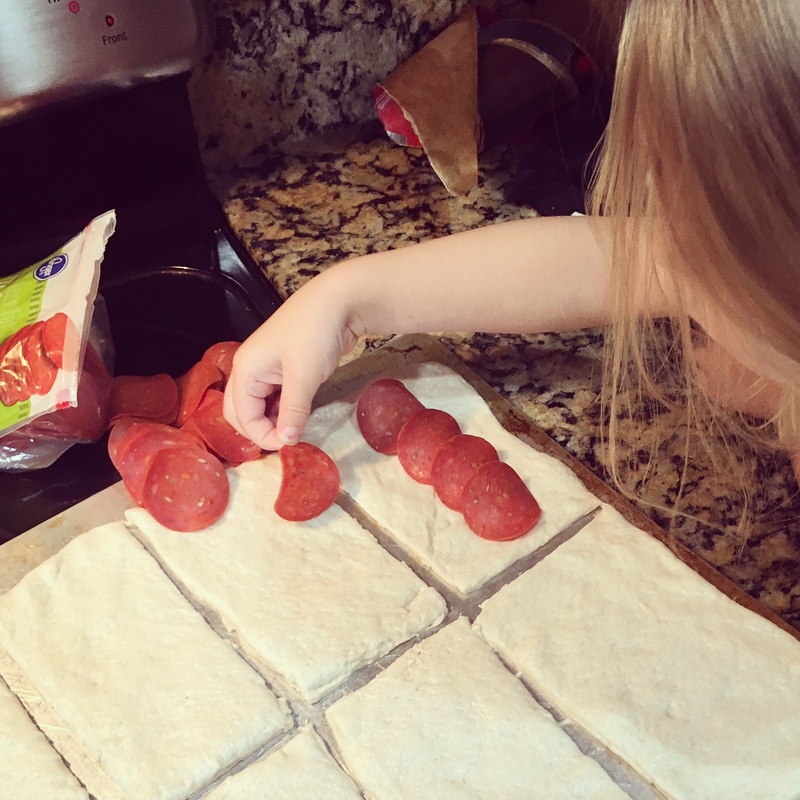 It’s a no-mess way for the kiddos to eat pizza and have fun dipping in the red marinara sauce. There is no better compliment than your little one coming home from school with an empty lunchbox because they LOVED what you packed for them, because let’s face it… preschoolers are picky eaters! 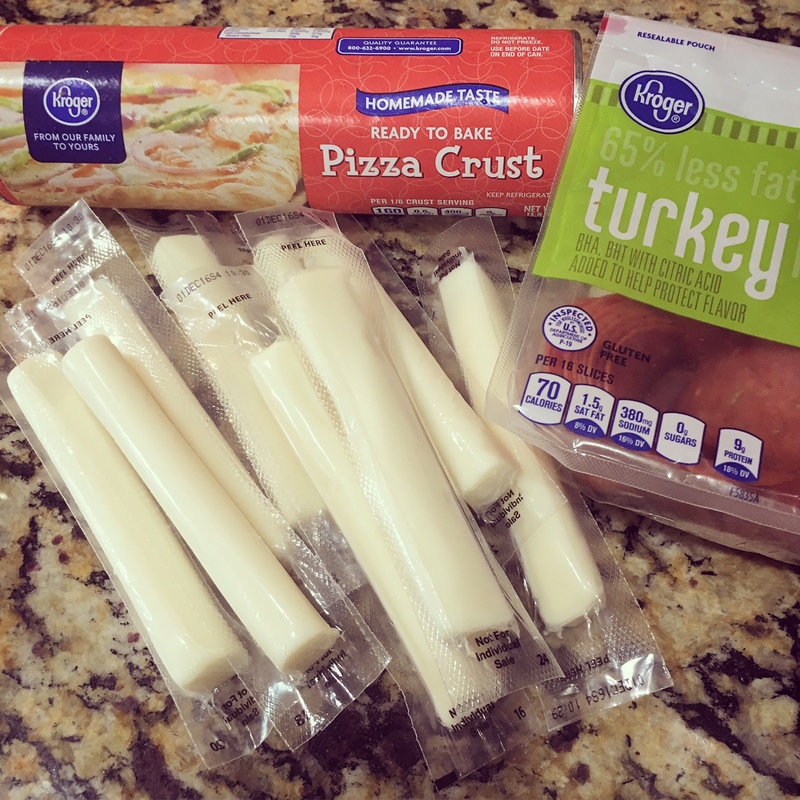 1 Package of Turkey Pepperoni’s – Feel free to use any kind of pepperoni! 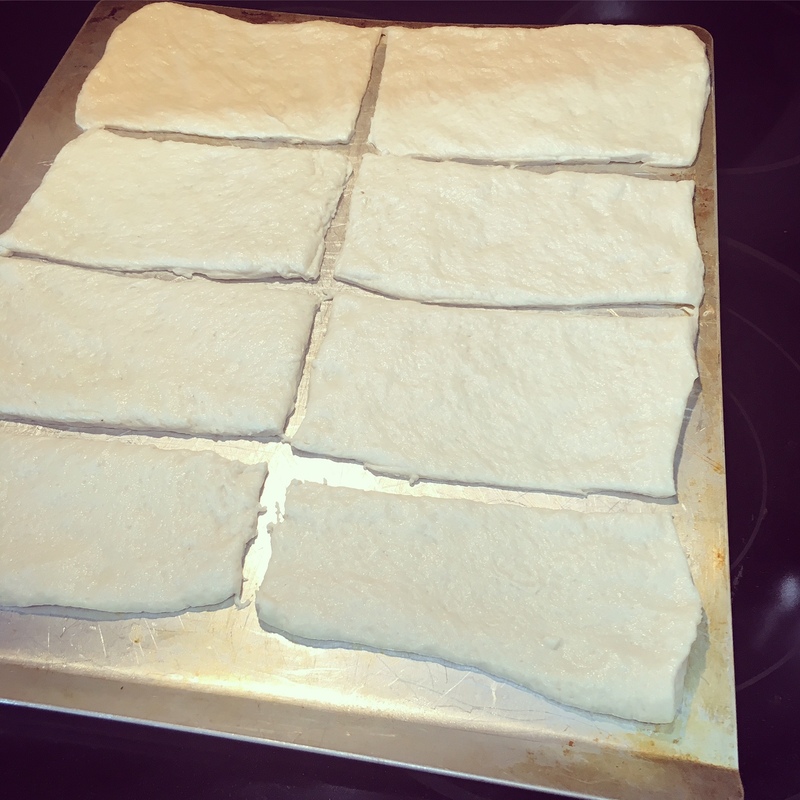 On a lightly greased cookie sheet spread the pizza crust out into a large, thin layer. Open, and place one cheese stick on each pepperoni layer. 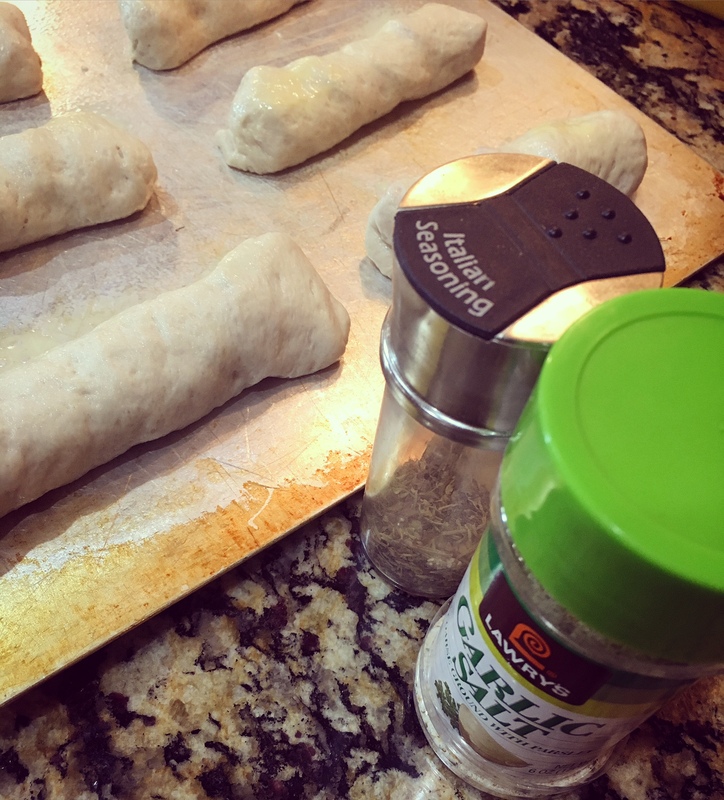 Roll up the dough. 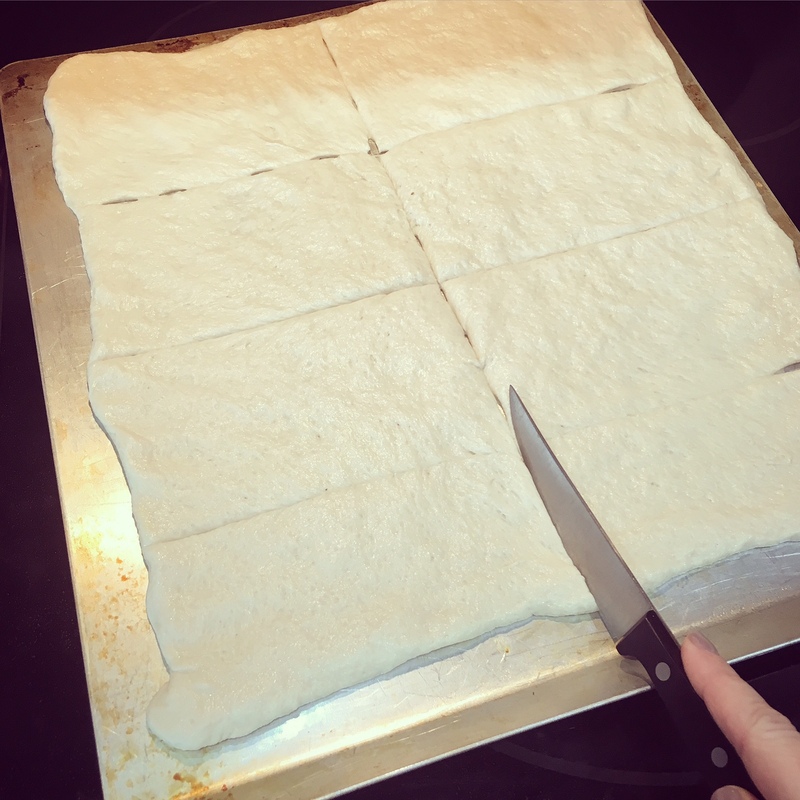 Start by bending in each small end to hold in the toppings and then roll up the dough. 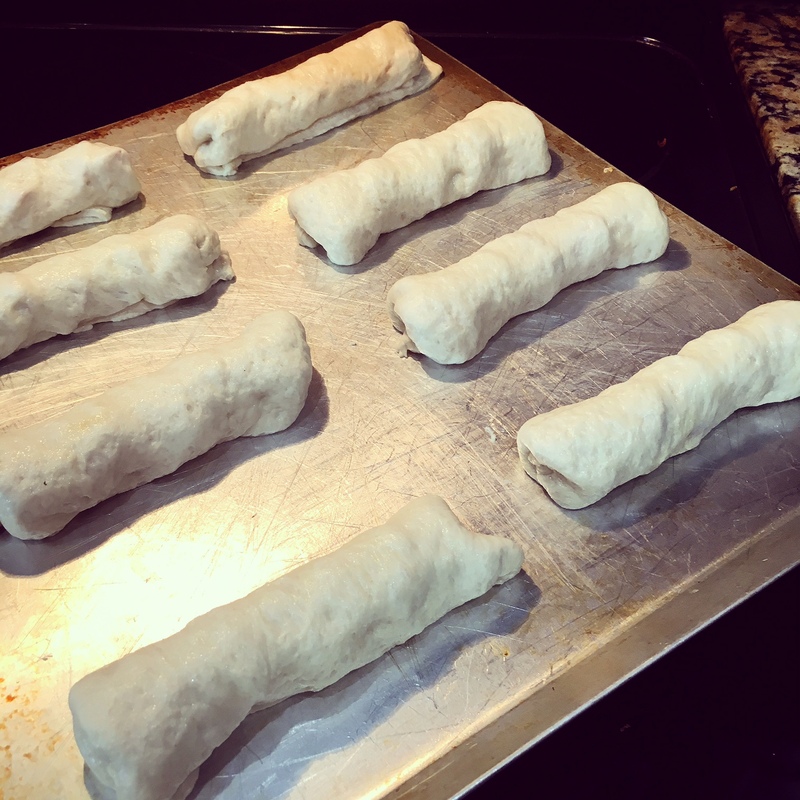 Spray down each roll with butter and top with a light layer of seasonings. I like to use Italian Seasoning and Garlic Salt. 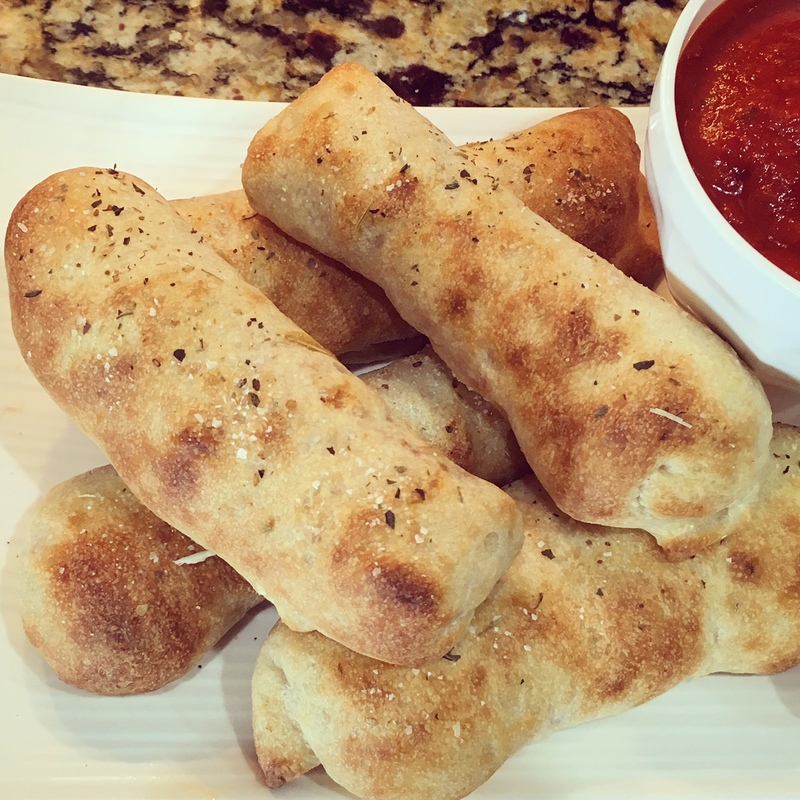 Cook your pizza sticks for approximately 10-12 minutes, so that they are golden brown. Yummy! 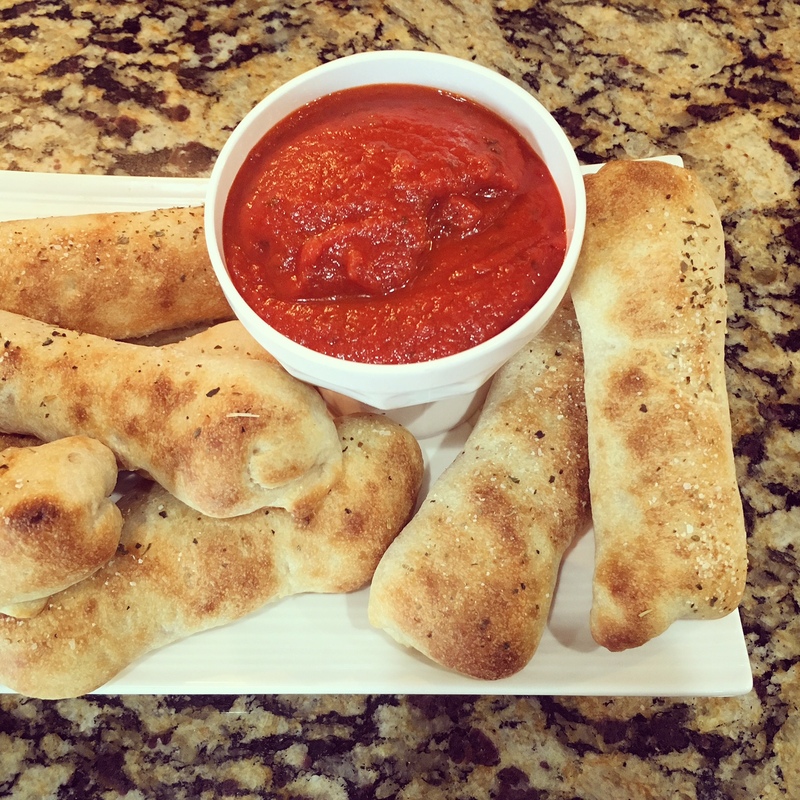 I like to serve the Pizza Dippers with a side of Marinara Sauce. The beauty of this recipe is that each bite is a perfect mixture of all of the flavors. My little preschooler loves to eat them hot or cold. 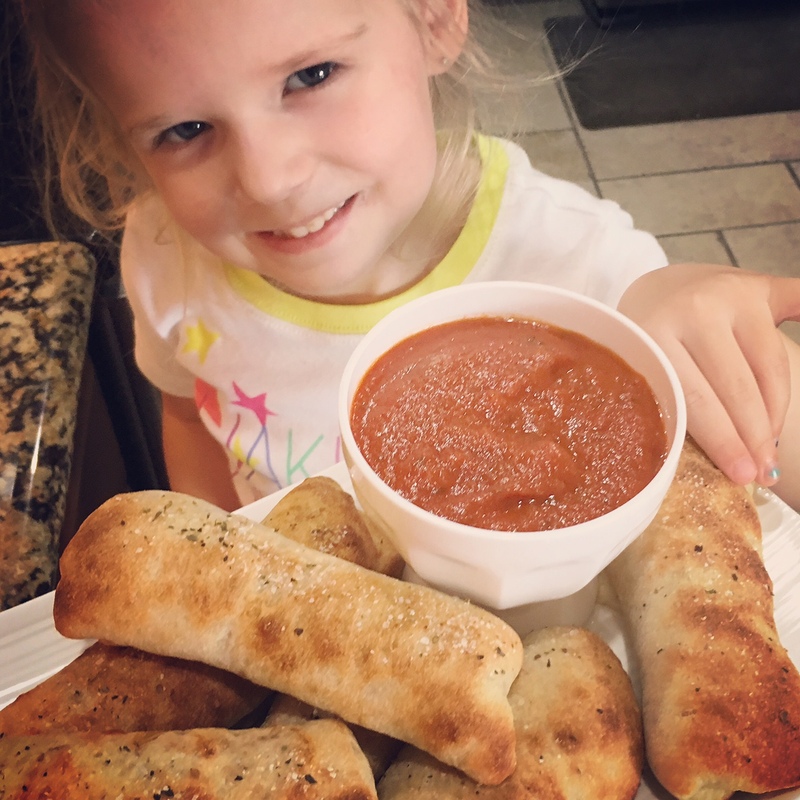 Pizza Dippers are the perfect way to get a great meal into your little picky eater! 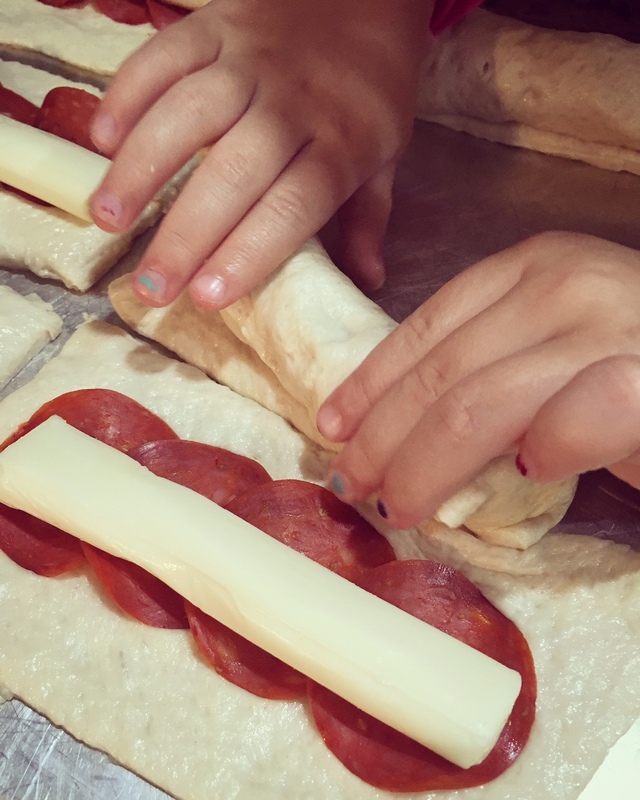 PLUS it is a great recipe to let your little helper join you in the kitchen. Win-Win! 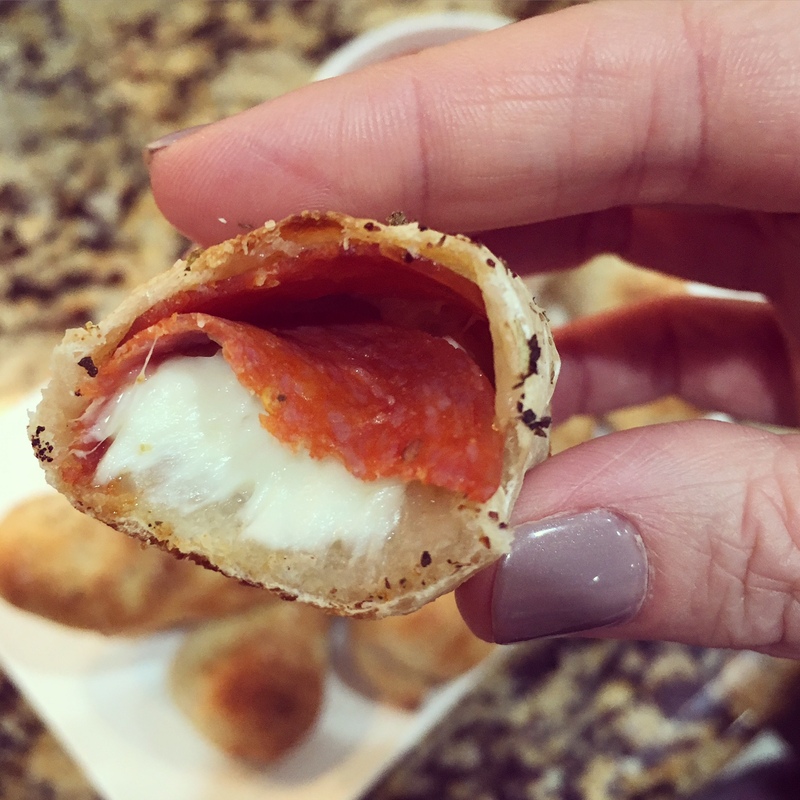 What toppings are you going to put in your Pizza Dippers? The sky is the limit! 1 Package of Turkey Pepperoni's - Feel free to use any kind of pepperoni! OR switch to any other favorite pizza topping. 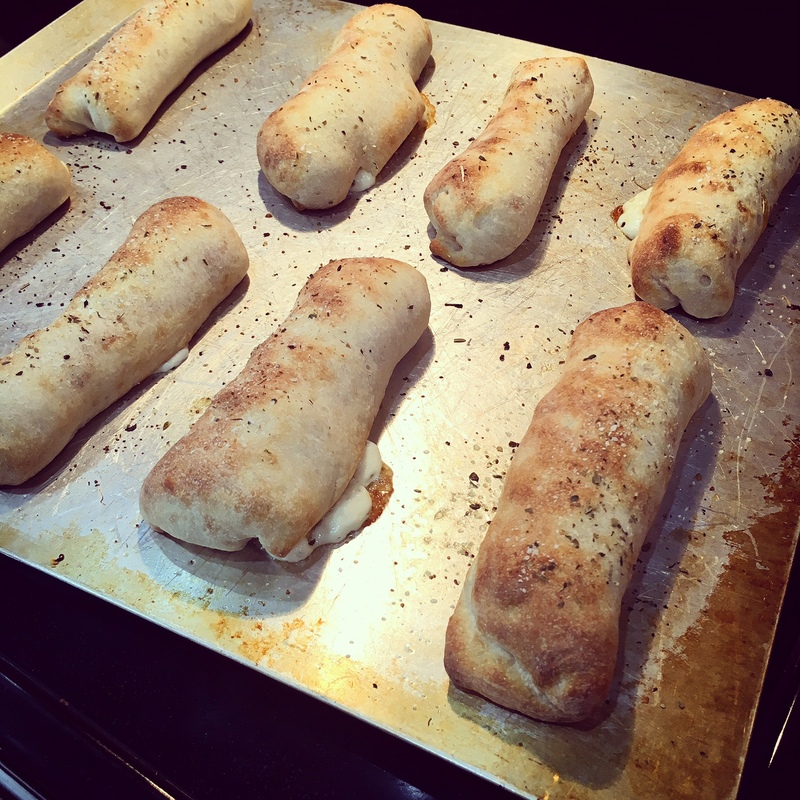 Cook your pizza sticks for approximately 10-12 minutes, until golden brown. 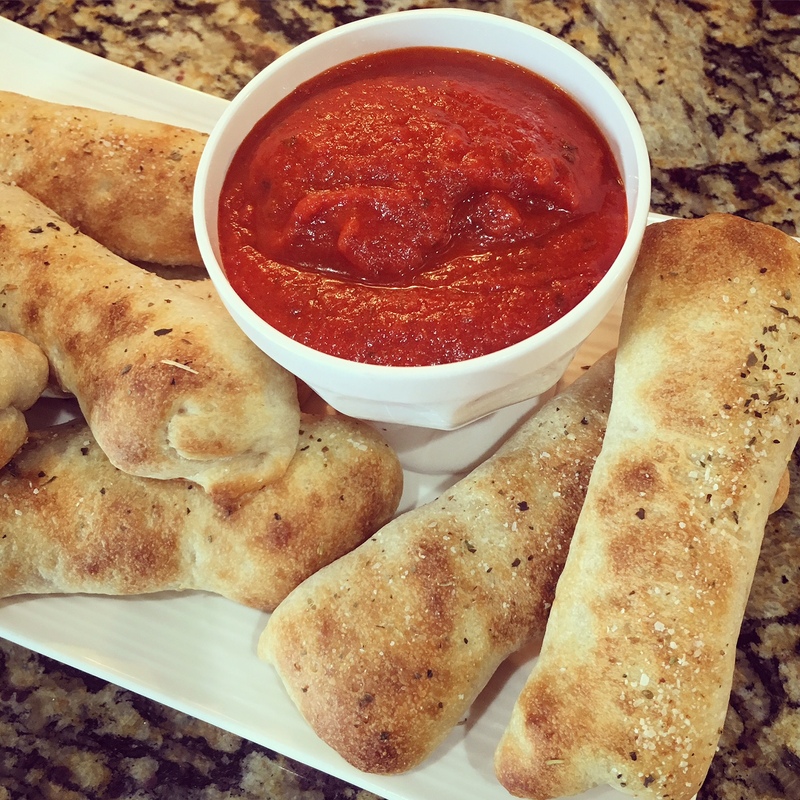 Serve the Pizza Dippers with a side of Marinara Sauce. Oh my goodness those look incredible! I love pizza so they’re right up my alley! Yum! I’m hungry now . These look perfect for the family! Oh my goodness, I am making this tonight!!!! These look so yummy, and easy!!! 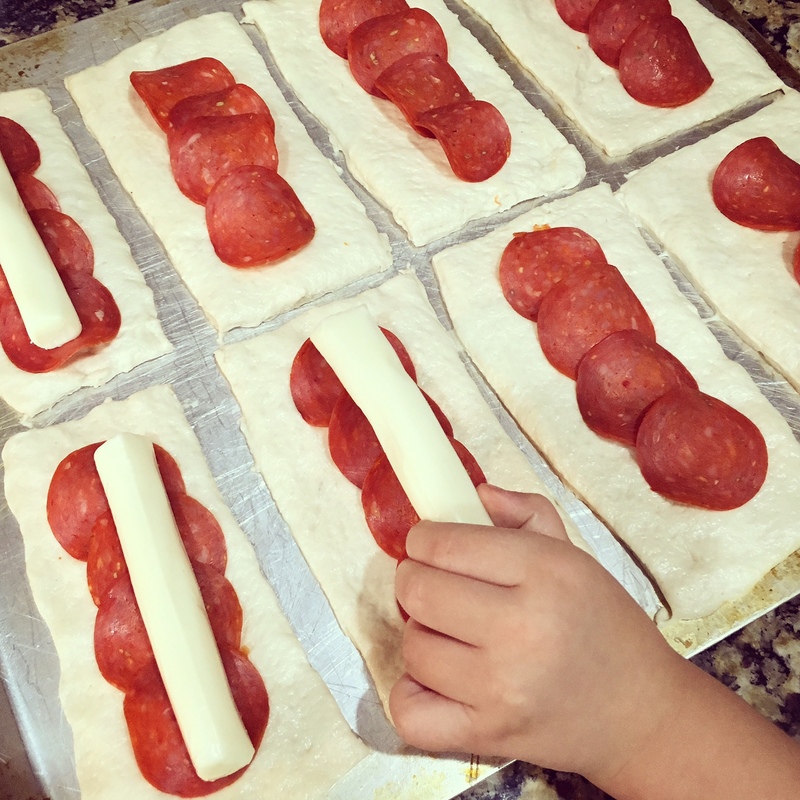 As a mom of two under two and a picky toddler, this recipe just made my day a bit brighter! Thank you!!! We can’t wait to try it!!! 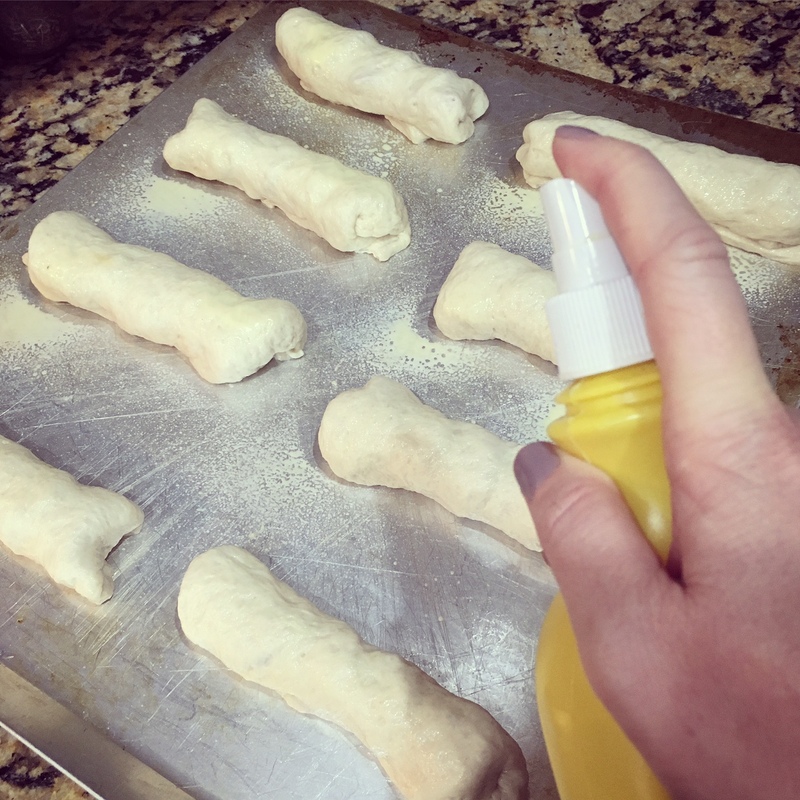 We make a similar recipe but with crescent rolls! Thanks for reminding me of this one – I am bringing it out next week when school starts. 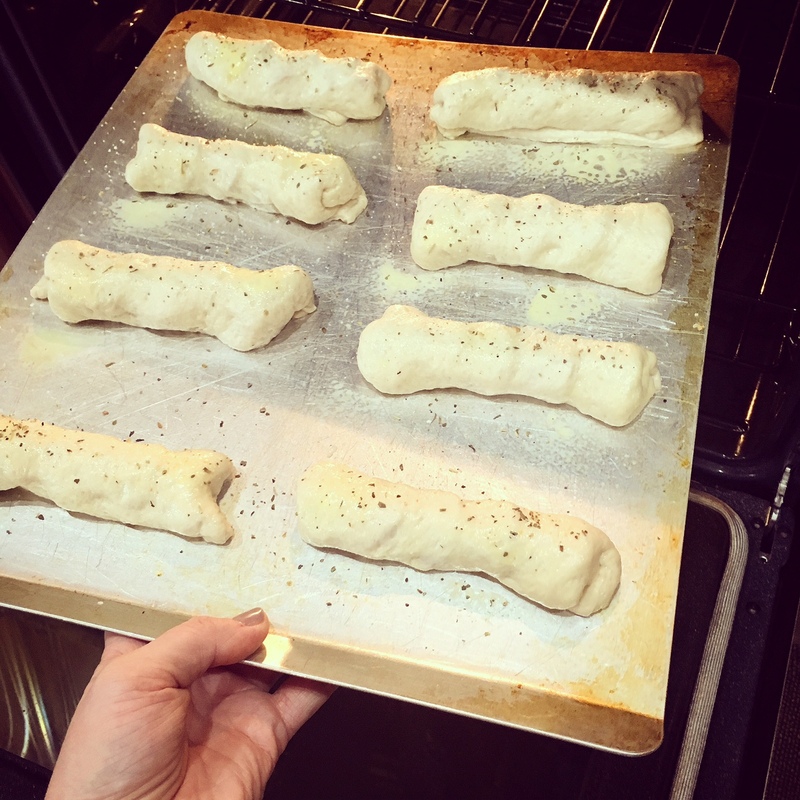 I like how it looks with the pizza dough – definitely going to try! Made these this weekend and the kids loved them! 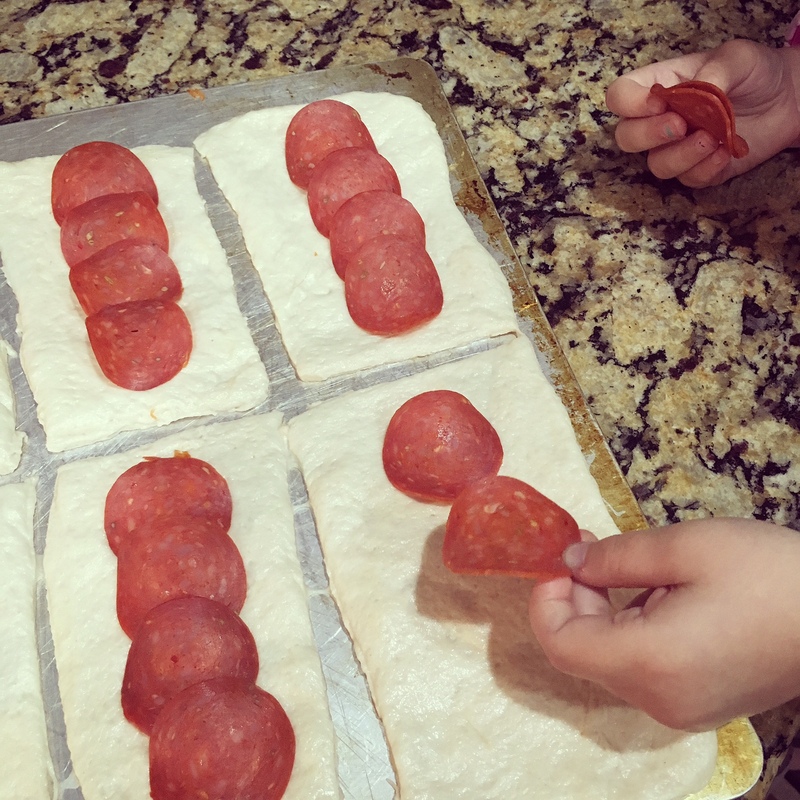 Theyd be a perfect after school snack! These look so yummy and versatile! We have to try them! These look amazing! Trying it out tomorrow!! Yum! Looks so easy and something my toddler would eat! Parker would totally dig these! She loves marina and cheese sticks. They are two of her food staples! Ha. Making these as soon as I get to the store! These look SO SO SO DANG GOOD. 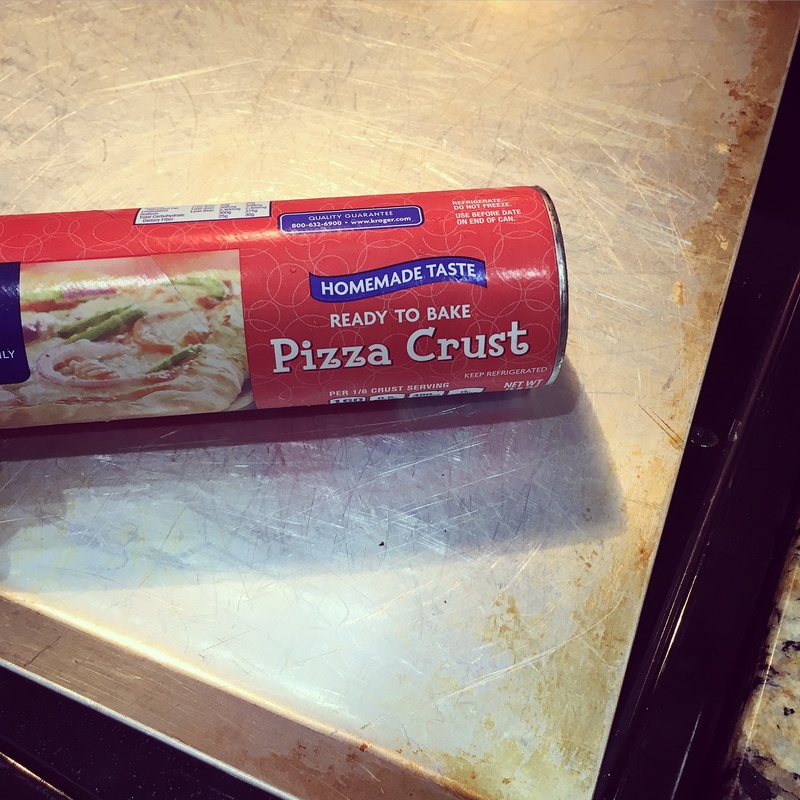 I’m *such* a pizza gal, so you can bet I’m making them this weekend for the fiance and I!